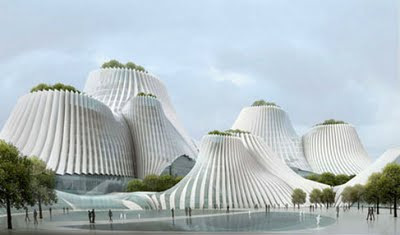 "Inspired by mountainous Chinese landscapes and the traditional villages built their hillsides, MAD Architects has unveiled plans to create a towering vertical Urban Forest. Designed for Chongqing, China, the projects consists of a stacked vertical forest set in the heart of the city, designed to bring more nature and open space in a dense and compact way. 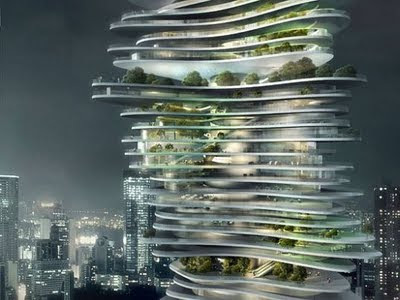 MAD Architects is becoming more known for their sustainable designs, and hopefully the green design aspects of this new tower extend beyond the garden spaces on each floor." 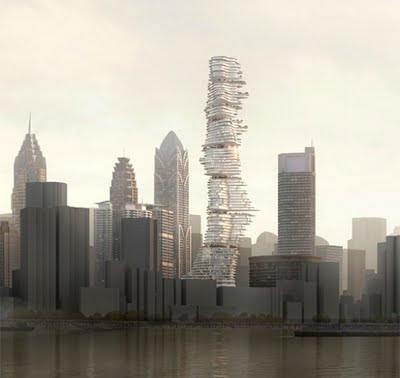 The excerpt and photos above are from http://www.inhabitat.com/2009/12/01/mad-architects-unveil-urban-forest-skyscraper-for-china/. 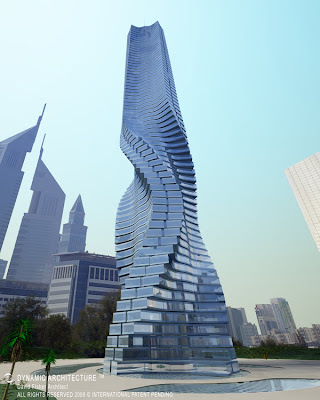 This building, which was to have been built in Dubai (not sure if that will happen now) will rotate and will be constantly changing its shape unlike the China skyscraper which I think will be static. But the varying shapes of the floors are very similar. I'd like to live in either of these buildings actually. 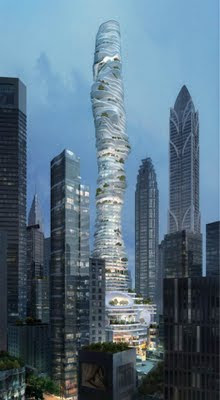 China and UAE are definitely the places to be these days, architecturally speaking. I still think that Dubai is one of the modern wonders of the world, despite all of the recent press about their financial difficulties. They at least have something historic and noble to show for it.